Red-miso has been inherited for 1,300 years as a traditional Japanese taste. Flakes of the red-miso are combined with freeze dried apples from Japan and milk chocolate with aroma of natural vanilla. It is a perfect balance of sourness, sweetness, saltiness and umami. 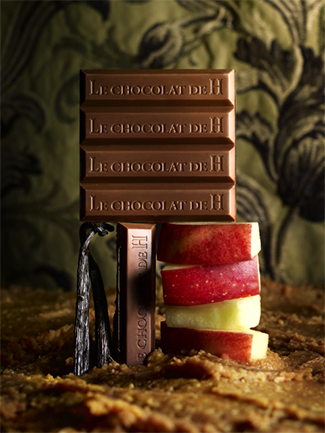 It is a pairing chocolate harmonized with chocolate, milk, miso, apple and vanilla.